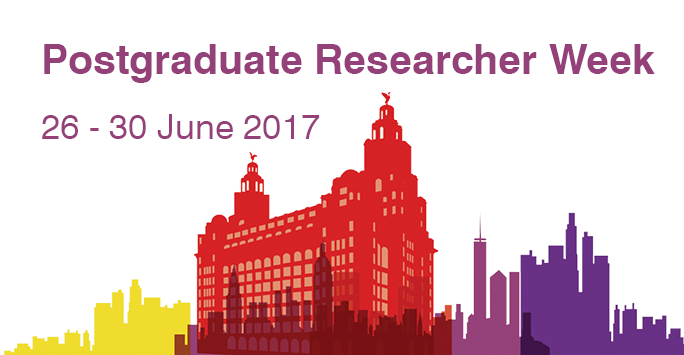 Postgraduate Researcher Week will be taking place 26-30 June 2017. This is a University wide event and other activities may be offered in your School/Institute. A variety of sessions will be running throughout the week including advice and guidance from the Liverpool Doctoral College Development team, training sessions as well as networking events and social activities. Postgraduate Researcher Week is the ideal opportunity for you to meet up with other research students from across campus and share your experiences, whilst learning more about the training and development opportunities available to you as a postgraduate researcher at the University of Liverpool.